The project scope included design and renovation of the customer training center, teaching kitchen and associates servery which are all visible from the main atrium. 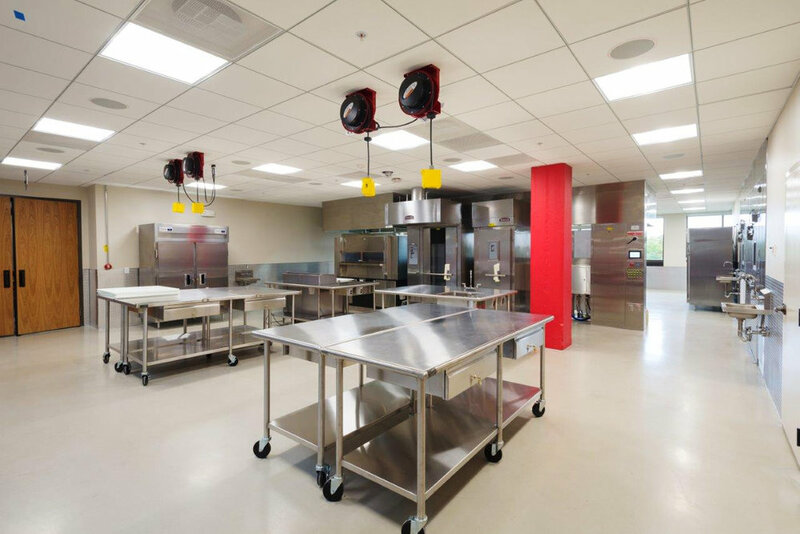 Installation of the training center and teaching kitchen incorporated multiple types of cooking equipment and work space for Rich Products customers. The associates (employees) serving area is supported by the current facility kitchen and includes multiple work stations for the many options presented to the associate each day. Approximate Foodservice Area: 6,320 sq. ft.